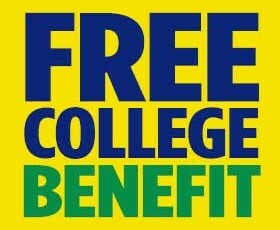 A The Free College Benefit is open to members in good standing, who are full dues-paying members, retired members and their families. Family is defined as spouses, children, dependents, grandchildren, siblings and in-laws, nieces and nephews and parents. Potential students’ membership will be verified by union. You first need to apply to EGCC at www.egcc.edu. lick on Apply Now on the top right of the page. When applying lease only check the box for your union. You also need to send us your official High School or GED transcript. If you would to have previous college credits reviewed for transfer to EGCC, you will need to send us official copies of those transcripts as well.